I am an academic GP and Associate Professor in General Practice and Rural Medicine at the James Cook University School of Medicine and Dentistry in Townsville, Australia, and still work 2-3 sessions per week in General Practice. I graduated MBBS from the University of Melbourne in 1993, and since then have gained a Masters of Public Health and PhD from James Cook University. I have previously served on the National Research Advisory Board of the Australian Primary Health Care Research Institute. 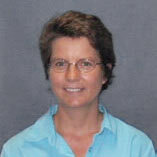 My current work includes undergraduate and postgraduate teaching and supervision, including coordination of a Graduate Certificate in Primary Health Care Research, supervising 6 doctoral level students, an Honours student and 3 Academic GP Registrars, and development of PHC research in the area of health services for underserved populations. My current research interests include Indigenous maternal and child health services, access to primary health care services for disadvantaged young people, social accountability in health professional education, innovative models of rural health service delivery, and Indigenous research capacity building. I represent JCU on THEnet, a collaboration of 8 medical schools selected from around the world with a social accountability mandate. We have designed and are testing a common evaluation framework to assess social accountability of medical education across contexts. I also practice in general practice 2-3 sessions per week. I combine a busy academic life with chaotic family life with three active young boys, Sam (13), Max (10) and Tom (6).